Become visible at the top of Google in collaboration with the country’s most certified Google Premier Partner. Whether you advertise locally, nationally, or internationally, our specialized expertise is your guarantee of measurable results. Are you both visible and attractive online? — or are your competitors benefitting from your absence? Attract more clients, increase your turnover, and create greater awareness of your company. 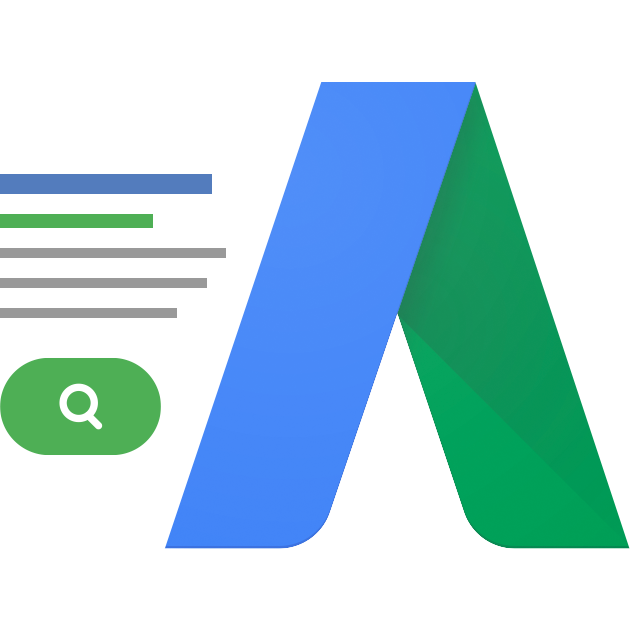 With Google AdWords you become visible when your clients search for what you offer, and you only pay when your ad is clicked. At Green.Click your Google advertising is in the best of hands, and you are guaranteed a regularly assigned and certified Google AdWords specialist for the composition and optimization of your visibility. Click Get a Health Check and we will contact you and review your AdWords account free of charge. We will advise you on how it can be optimized for you to get the most out of your marketing. Achieve greater visibility for your company or attain price competitive e-trade with targeted advertising on Google. Whether you employ us for smaller or larger tasks is optional, but our dedication and strategic approach to your needs is mandatory. Included in all our packages are: complete transparency and account access. Certified marketing manager. Review of KPIs and objectives. Campaign and ad group composition. Inviting and unique ad texts. Comprehensive search word research. Location and phone number. Geographical circumscription. Conversion tracking with Google Analytics. Present your products with visible images, current prices, and product names directly in Google’s search results. Your business consultant reviews your chosen package with you and sets objectives, focus areas, and expectations for the campaign. After this, we are ready to begin. Your AdWords manager starts the preparations. A good campaign takes its point of departure in data and analysis. We are nerds and we love this! To enable tracking of your campaign results, we ensure correct tracking configuration. We begin planning the strategy and structure of your campaign. Following the analyses and preparations, your personal AdWords Managers begin the construction of your campaign. We are only human and occasionally make mistakes. Since delivering as high a quality service as possible is important to us, your campaign is reviewed and given a second opinion by another experienced AdWords Manager. When the campaign is ready, it is activated and you will receive an e-mail informing you thereof. When we optimize your campaign, we always take our point of departure in what we can see and measure. We thoroughly review the data. There are no standard procedures for what we optimize, and no two optimizations are alike. The trick for us is to spend our time where we can see that we can create specific results and success for you and your business. Do you continually keep an eye on your campaign statistics? Most people don't, actually. But don’t worry, we'll do it for you. You will continually receive easily intelligible reports that relay to you the status and results of your campaign. With a point of departure in the report, a scheduled follow-up between you and your business consultant is planned. If you have questions or need help in connection with your marketing, your business consultant is ready to answer your questions and ensure that you fully understand the process.